“The Law says that in this zone mining and petroleum exploration and extraction is forbidden”. The words are not of a radical environmental organization, but that of Ricardo Villalba, Director of the Argentine National Glacier Institute (the IANIGLA) which is finally beginning to publish early results as they become available from the national glacier inventory. The IANIGLA, which brings together some of the world’s most experienced and renowned glaciologists, is conducting the official inventory mandated by the 2010 National Glacier Act which in Article 6 prohibits mining in glacier areas. What is now finally becoming public is the official determination of “where’s the ice” which essentially also determines areas that are off limits to mining. Villalba is confirming what many suspected and what miners and mining-promoting State agencies don’t want to hear. There are literally thousands of glaciers in the Central Andes, and more than 1600 alone in the relatively small Mendoza River Basin, which includes high-mountain areas near the base of America’s highest peak, the Aconcagua. These first glaciers inventoried represent over 500km² of very thick ice, … in comparative terms, that’s an ice cover which can be up to 300ft thick and 6 times the size of Manhattan. To get a sense of the magnitude of the water contained in this ice reserve (which the glacier law aims to protect), if we use a conservative mean thickness of about 20 ft to calculate water volume contained in this ice, these 1600+ glaciers contain more than 100,000,000,000 gallons of potable water. That’s enough H2O to supply the entire population of the United States with drinking and sanitation water for nearly six months. Another startling confirmation, which a handful of glacier experts already knew (but which most mining companies are only now learning), is that 60% of the glaciers in the Mendoza River Basin which exist above 11,000ft are invisible to the untrained eye. They are “rock glaciers”, which are massive ice bodies covered by a thin layer of rock debris. The non-expert could be standing on a rock glacier and not even know there is ice beneath her. 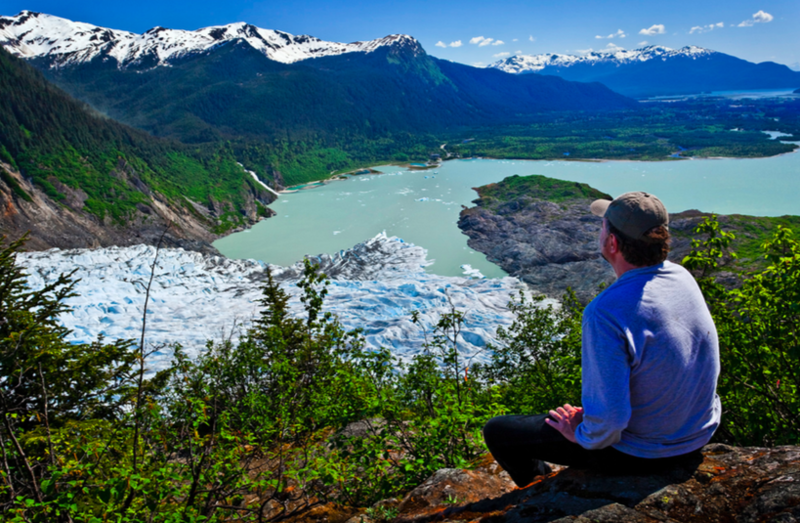 Mining companies exploring in the region, until the passage of the national glacier act and the big national debate about glaciers and mining impacts to glaciers, were also impervious to their existence. Companies like Barrick sent in their tractor operators to tear into the terrain to open up exploratory roads, often unaware that they were plowing into glaciers. The picture in this press release, for example, has about as many “invisible rock” glaciers as there are uncovered white ice glaciers in the image. Finding them is a challenge but is essential in order to protect the ice reserve, which is critical for ecosystem survival in the high and dry mountains of the Andes. That’s precisely what the National Glacier Institute is doing with the glacier inventory. The Andes are full of ice and as the glacier inventory becomes official, the areas off-limits to mining operations will increase. It’s estimated that San Juan Province, the most mining-friendly province by far, has over 12,000 glaciers above 10,000 ft, where most of the exploratory mining operations are now underway. San Juan alone has over 100 mining projects in the pipeline that could be potentially permanently stalled by the cold reality (pun intended) that glaciers are ubiquitous in the area. The official glacier inventory was supposed to launch in 2010 with priority areas, specifically those with mining operations (which should have completed inventories within six months of the adoption of the law), however the national government was not eager to get the ball moving with the inventory and demurred nearly two years before regulating the national glacier act, and releasing funds for the IANIGLA to get to work in carrying out the official glacier count. Further, provincial collaboration with the inventory has been scant, ending with the decision that mining provinces will lend their own scientists to the IANIGLA to carry out inventories that, say some, keeps a check on glacier count ensuring that the official report on glacier presence will not hinder mining. Public officials in charge of the glacier inventory in San Juan and La Rioja, for example, have said publicly that there is no mining taking place in glacier areas. Ricardo Villaba, the Director of the National Glacier Institute has also stated that mining provinces such as San Juan, La Rioja, and Catamarca were also not open to share information with the IANIGLA about mining operations they new were in the glacier zones. In response to this delay, and to the continued lack of protection for glaciers affected by mining operations, the Center for Human Rights and Environment (CEDHA), a non-profit environmental group in Argentina, unsettled the mining sector and official mining authorities last year with the first unofficial inventories and reports of the extensive presence of glaciers surrounding projects like El Pachón and Filo Colorado (Xstrata Copper), Los Azules (McEwen Mining), Pascua Lama (Barrick Gold), Del Carmen (Malbex), El Altar (Peregrine Metals), Cerro Verde (Anglo American), Famatina (Osisko), San Francisco, San Crispin and Sancarron (Argentina Mining), Potrerillos (Golden Arrow), Portones (Suramina), José María (NGX Resources), and a slew of other which are criss-crossing the Andes in search of minerals, oftentimes plowing bulldozers indiscriminately into ice reserves, which are now protected by national and provincial laws. CEDHA began mapping mining projects and publishing satellite images (available through Google Earth) of mining impacts to glaciers in the area. To disseminate information about mining impacts to glaciers, CEDHA created a Argentine Glaciers Facebook page and enlisted thousands of contacts in San Juan and La Rioja to disseminate information about glaciers in the Central Andes, and the risks posed by mining projects, much to the bewilderment and surprise of locals, many of which never knew glaciers existed in their province. 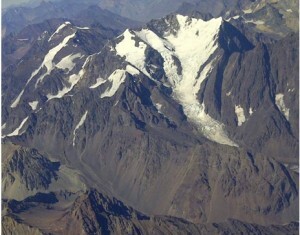 The preliminary results of the National Glacier Institute (IANIGLA)’s inventory in Mendoza Province confirm CEDHA’s claims that many of the nationally protected glaciers are extremely vulnerable to anthropogenic forces, and many of these are debris-covered glaciers (or rock glaciers), that while invisible to the untrained eye are nonetheless protected by national law. El Pachón (Xstrata) is surrounded by more than 220 glaciers. Los Azules (McEwen Mining) has just as many. Both companies have denied the presence of glaciers in their project area. McEwen falsely claims on its website that there are no ice glaciers at the Los Azules project site. A recent report published by CEDHA found at least 226 ice bodies near the project. The company has remained silent since. The IANIGLA inventory is slowly spreading to provinces like San Juan, La Rioja, Catamarca, Salta and Jujuy, where little is known about high mountain glacier presence. CEDHA’s recent report on mining and glaciers in La Rioja province revealed more than 400 glaciers, in a province where most didn’t know that even a single glacier existed. Far from the glacier sites, locals refer to the perennial ice visible on the mountaintops as “eternal snow”; in scientific terms, that implies glaciers. The provincial governor recently stated that there were no glaciers at all in La Rioja. A national television program picked up CEDHA’s report and showed images of the many glaciers in the province, alongside La Rioja’s Environment Minister scrambling to field questions about glaciers he didn’t even know existed in his province. It was no surprise that Barrick (owner of the Pascua Lama project which is supposed to start operations soon) and which has hundreds of glaciers in the immediate project area, set out quickly to counter the National Glacier Act. Barrick had obtained through pressure at the highest political level a presidential veto of the less stringent glacier act approved unanimously in Congress in 2008. The Canadian mining giant went to court file an injunction request to have the 2010 ruled unconstitutional. The case is now before the Supreme Court. The provincial glacier law of San Juan, however, is just as explicit as the national law, and while it does not protect permafrost areas which are extensive in San Juan and are as important to water provision as glaciers, it does prohibit all activities which could alter or destroy glaciers. That would include mining. It’s only a matter of time before the official glacier inventory reaches San Juan and the correlation between mining exploration in the Indian Belt where Barrick currently operates Veladero, and where many other mining companies are hoping to strike it rich, will be faced with the illegality of their operations because of glacier impacts. For the moment, most of these companies, are only striking ice.